Higher gas prices and a slumping economy are reshuffling food dollars, industry leaders indicated in late July. “The bottom line is, the general economy is not doing very well,” said Desmond O’Rourke, economist and president of Belrose Inc., Pullman, Wash. He noted one Wall Street firm has estimated wealth lost in the last 12 months from the stock market and the housing market totaled $5.2 trillion, or about 36% of the gross domestic product for the year. The Washington, D.C.-based National Restaurant Association reported June 30 only 12% of operators surveyed that month expected economic conditions to improve by year’s end. The NRA said that was the lowest level in the history of the six-year history of the Restaurant Performance Index. Likewise, the Consumer Confidence Index from The Nielsen Co., New York, in June plunged to 88, which is down six points in six months. Nielsen said the plunge was the largest single drop in three years. Instead of eating away from home, O’Rourke said evidence suggests people are tilting their food purchases to supermarkets. supercenters and discount stores. Meanwhile, O’Rourke said mid-scale restaurants are facing a shakeout. “More and more consumers are going to a supermarket and building meals they would normally buy in a restaurant,” he said. Recent industry-wide foodservice sales numbers from Chicago-based Technomic Inc. showed May sales this year were off about 2% from a year ago, said Tim York, president of Markon Cooperative, Salinas, Calif. Adjusting for inflation, overall foodservice sales may be off 5% or 6% compared with last year. “I think we are still in for some tough sledding with the produce industry and the foodservice industry in general,” he said July 22. York said growers are suffering from higher input costs, distributors are being stressed by higher fuel costs in their deliveries and operators are facing declining business and rising product costs. York said anecdotal reports reveal that consumers may be scaling down dining choices when they go out. R.W. Garcia introduces a new line of Special Recipe tortilla chips designed to provide healthy and organic snack alternatives to the traditional yellow corn tortilla chip. The new Special Recipe line includes Thai, Flaxseed/Soy, USDA Organic Veggie, Berry, and Multi Grain tortilla chips. They’re perfect for health-conscious individuals who love great flavor, or anyone who just likes to munch. At R.W. Garcia, they're changing the way people snack with a simple philosophy: great tasting can be good for you. They pride ourselves on producing surprising, delicious combinations of corn and other natural ingredients to create fun, healthy foods. They make their tortilla chips from the finest, all-natural ingredients including organic and stone ground non-GMO corn and seasonings that contain no additives or preservatives. All of their chips are wheat free, and most are also gluten free. So you can snack guilt free. Salinas City Councilwoman Jyl Lutes says the city needs an ordinance to stop restaurants from using polystyrene foam, a material often decried as environmentally unfriendly. "We're chipping away at many green initiatives," Lutes said before Tuesday's council meeting, where she proposed the ban. "Salinas is on its way to becoming a truly green city with a minimal carbon footprint." The ban would require restaurants and other food-service businesses to provide paper cups and packaging for take-out items. Similar ordinances are in effect in Monterey, Carmel and Marina, but Monterey's ban only covers city cafeterias and snack shops. Lori French says California fishermen have unfairly received a bad reputation. A lot of people think fishermen harm the ocean environment. In reality, 90 percent of commercial fishing boats are family-owned businesses that have been fishing sustainably for generations, she said. French, who’s married to Morro Bay fisherman Jeff French, is part of a growing effort to educate the public about fishermen and the food they produce. The Morro Bay woman recently obtained a $35,000 grant to start “The Faces of California Fishing” campaign, which is designed to put a human face on the state’s family fishermen. the state by the Monterey-based Alliance of Communities for Sustainable Fisheries showed that Californians realize that the state’s fishing industry is one of the most regulated in the world. Eighty-two percent of respondents said they would rather buy locally caught seafood, and 63 percent would not be willing to buy imported seafood if that meant putting the state’s family fishermen out of business. Fishermen and environmentalists are hoping to capitalize on that knowledge. They can market their catch as locally and sustainably caught and charge premium prices for it. Morro Bay fish buyer and seafood restaurant owner Mark Tognazzini labels the seafood he sells in his market and restaurants that was landed in Morro Bay and Port San Luis as “wild/local.” He sometimes goes as far as listing the name of the local fisherman who caught it. This demand for locally and sustainably caught seafood extends to larger markets in Los Angeles and the Bay Area. Buyers there have told local fishermen that they will take all the high-quality seafood they can produce. "All started in 1995 - Franco says - I was riding my car with a watermelon in the trunk. The road was curved and when I stopped I found the watermelon was broken in two. That was the moment I've got the idea to create a square one. 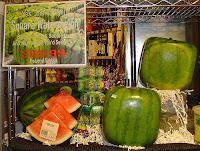 First experiments went on until 1997, when I succeeded in the creation of the first square watermelon. So I showed it to my - until that moment sceptical - friends and, unexpectedly, I became a legend. All the Italian media ran to see my invention and my fame was quickly spread worldwide". "In the 2001 summer, Japaneses launched their - very pretty ones, I admit - square watermelons, presenting them as an invention of their own. I declared it was not a Japanese invention, but I soon realized that my request to patent the square watermelons was rejected by the Italian bureaucracy in 2000 because of - so was said - a "lack of inventory activity". "Nowadays, I am still producing my square and triangular watermelons and I am trying new shapes as well. I have worked hard to improve this technique and the last results are very good. I hope someone could be interested in my products. Moreover, I am trying to let these watermelon become a part of the gastronomical specialties of the area near Cremona, in order to further valorize them". 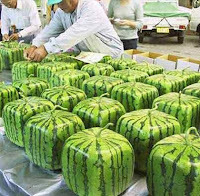 Japan has again shown off one of its greatest innovations - square watermelons. But 20 years ago a forward-thinking farmer on Japan's south-western island of Shikoku solved the problem. A watermelon was fatally injured after attacking a door frame. At 12:45 a.m. July 14, a resident of the 300 block of Westridge Road heard a loud bang before the alarm system went off. According to reports, a watermelon had been thrown at the door of the residence, damaging the frame. The resident told police he believes the vandalism may be related to an incident last month involving eggs. Gov. Arnold Schwarzenegger Friday signed legislation making California the first state to ban restaurants from preparing food with trans fats. The Trans Fat Bill (AB 97, Mendoza), which will be phased in starting in 2010 across the state, follows a bill Schwarzenegger signed that banned artificial trans fats in food served at public schools. The California Restaurant Association, which opposed the legislation because it believes such laws should be made by agencies such as the FDA, said its members will comply with the new law, and that many already are. Each year, "ghost fishing" by lost and abandoned fishing gear kills countless fish, sharks, birds, marine mammals and sea turtles as it endlessly drifts around our oceans. Discarded fishing nets, lines and floats are often made from non-biodegradable materials, and become another source of marine debris, hurting wildlife and littering our oceans and beaches. 1. Send a letter in support of legislation to establish a California statewide program for the reporting and removal of derelict fishing gear. 2. Tell a friend - forward this email and encourage friends and family to Take Action or become a member of the Ocean Action Team. The Nucci Scholarship for Culinary Innovation posthumously honors industry icon Joe Nucci, Mann Packing Company, and his significant contributions to the produce and foodservice industries. Proceeds from the Golf Tournament benefit the scholarship program that bears his name. Chartered to connect produce and foodservice professionals in advancing culinary innovation through produce, through this program, selected culinary school students and faculty attend the July PMA Foodservice Conference & Expo in Monterey, CA where they learn about the produce industry and the important role foodservice plays. Event scholarship recipients’ tour produce fields and facilities, attend educational workshops, network with produce professionals and chefs, and experience the exposition. 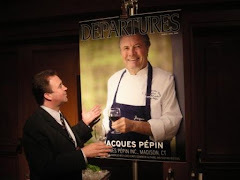 PMAEF is currently working with the Culinary Institute of America (CIA) and Johnson & Wales University to bring students and faculty to this year’s conference, scheduled July 13-15, 2007. PMA piloted the program with the CIA last year and PMAEF is expanding it this year to include Johnson & Wales University. The participants will tour the fields and facilities of Mann Packing Company and NewStar Fresh Foods LLC, attend educational workshops, and experience the exposition. PMAEF is looking forward to making this second year an enhanced success. 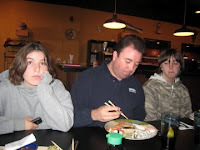 Joe, who passed away in July 2005 at the age of 40, believed deeply in our industry and its future. Born into a family of produce innovators, Joe was President of Mann Packing Company, Inc. and was scheduled to become PMA’s Chairman of the Board in October 2006. Joe’s life was defined by his innovative character and capability to inspire the next generation of leaders. It is one of two scholarship programs currently offered through the PMA Education Foundation (PMAEF), a newly created 501 (c) (3) organization. Proceeds from the annual golf tournament at the start of the Foodservice Conference benefit this scholarship program. It's also possible to support the scholarship fund directly by making a donation to the PMA Education Foundation; click here for more information . "Best Business Practices Presentation & Product Showcase"
Featuring a presentation by Tim Kirkland, acclaimed author of the book 'The Renegade Server'. Guests will also be able to attend a large product showcase, featuring over 30 vendors, during the presentation intermission. To RSVP complete the form below and mail it or email all your information to ruth.wik@usfood.com. ***For East Region Customers we will host another showcase in Sacramento on September 16th, 2008. More details coming soon! The beef industry’s checkoff-funded New Products Initiative is dedicated to increasing the value of the chuck and round and stimulating the development and launch of new, innovative products containing beef and veal. The Beef Innovations Group is a team of experts who collaborate and conduct activities that provide the industry with product ideas and tools to make their new beef products successful. Members of the team represent more than 200 years of combined new products experience, including meat and food scientists, operations experts, marketers, chefs and culinary professionals who have worked in the meat packing, processing, packaged goods, foodservice and retail industries. 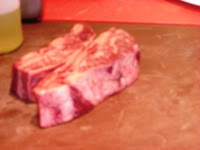 For information about how to use value cuts from the chuck and the round visit the beef innovations group website. Many years ago, Chumley's Restaurant, at 86 Bedford Street in Greenwich Village, New York City, had a custom of throwing rowdy customers out the back door. Chumley's building dates to the 1830s and was originally a blacksmithery. According to legend, in the pre-Civil War era it was a stop where escaped slaves could find a haven (there was a black community on nearby Gay Street). During Prohibition, Chumley's was a speakeasy owned by Leland Stanford Chumley. It also served as the headquarters and printing office of the International Workers of the World (or the "Wobblies") in New York. When the Wobblies held their meetings in the front room of the restaurant and the cops were on the way, someone would shout "86," and they would all exit through the back door. Chumley's is probably the only major bar or restaurant in New York City that has never had a sign or marking of any sort on its exterior to mark its presence. Yet most Greenwich Villagers know where it is, officially 86 Bedford Street just north of Barrow, and most nights, it's packed. With Boho Vineyards’ new line of popular wines in three-liter wine casks made from 95 percent recycled Kraft paper and using only soy-based inks, concerned consumers can give their favorite alcoholic beverage an eco-friendly upgrade. Available in vintage-dated Chardonnay, Cabernet Sauvignon, and Merlot varietals, the wines will stay fresh up to six weeks after opening, as the Bag-in-Box packaging keeps harmful air out, according to San Francisco-based Boho, which is distributed by Underdog Wine Merchants, a division of The Wine Group, Inc. The suggested retail price for the nationally available wines is $24. For more information e-mail Patricia Schneider at patricia9@comcast.net. The Oldtown Salinas Farmers Market will expand its operations to include a Wednesday evening market starting this week on the 200 block of Main Street. The market hours are 4 to 8 p.m., but the block will be closed to traffic from 3 to 9 p.m.
For the first week, the market will include seven farmers and street displays from Main Street boutiques. Hullabaloo Restaurant will also have a wine-tasting during the market. Local artists will display their work on the street, and there will be tents set up for children's art projects, said Trish Sullivan of the First Fridays Art Walk, who is also helping coordinate the Wednesday Oldtown Farmers Market. A gold medal was awarded to the 2004 Dancers' Meritage. A silver medal to the 2003 Estate Merlot and the 2007 Chenin Blanc; a bronze medal was earned by the 2003 Estate Cabernet Sauvignon as well as the 2006 Chardonnay at the event held in Santa Rosa. 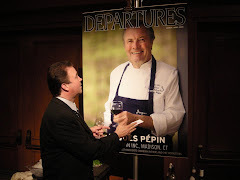 The label, "Dances on Your Palate", has received acclaim throughout America and Europe. This label was inspired by the 15 foot high, bronze sculpture by Toby Heller, overlooking the vineyards. The label was designed by Toby Heller and Michael Bolton, and received the Jerry Mead Gold Medal Award in the New World International Wine Competition. The motto, "Magical Wines That Dance on Your Palate", was also inspired by this sculpture. The Carmel Valley vineyard was certified organic in 1996. For information, see www.hellerestate.com or call 659-6220.